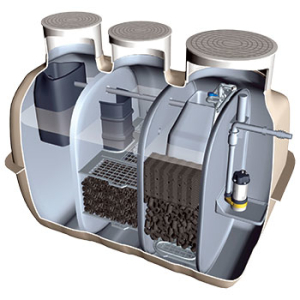 The CE-1500EX Model is one of the world’s foremost domestic wastewater treatment systems. A compact, cost-efficient and highly dependable advanced secondary treatment system, the CE-1500EX offers exceptional value, unsurpassed water quality and proven performance with over 1.7 million systems installed internationally. 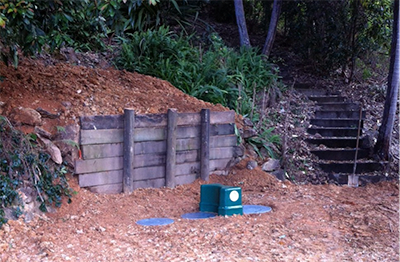 True Water Australia has successfully installed numerous CE 1500-EXs, providing homeowners with safe water, hassle-free operation and significant savings in their domestic wastewater treatment costs. The CE-1500EX offers up to an 80% saving on running costs compared to other brands, its simplicity and lack of moving parts matching the financial benefits with unsurpassed reliability and longevity. The CE-1500EX has been developed to achieve a 50+ year lifespan, providing outstanding reliability and peace of mind within a low-maintenance system that will last a lifetime. As Australian Commercial supplier of the CE-1500EX, True Water Australia has the track record and experience to provide swift, efficient and cost-effective installation of the system, liaising with clients, councils and governing bodies to ensure all installation requirements are met. This process is made simple & easy given the CE-1500EX’s, high water quality, lightweight manufacture, compact & self-contained design, greatly reduced noise, ensured environmental safety, minimal environmental footprint and odourless operation. The ease with which the CE-1500EX can be installed, thanks to its convenient design, makes it an ideal solution for domestic or small commercial properties with limited space, difficult access or environmental constraints. Contact True Water Australia today for further information on the CE-1500EX or to arrange an inspection or quote for your next project.